Svastra sp. 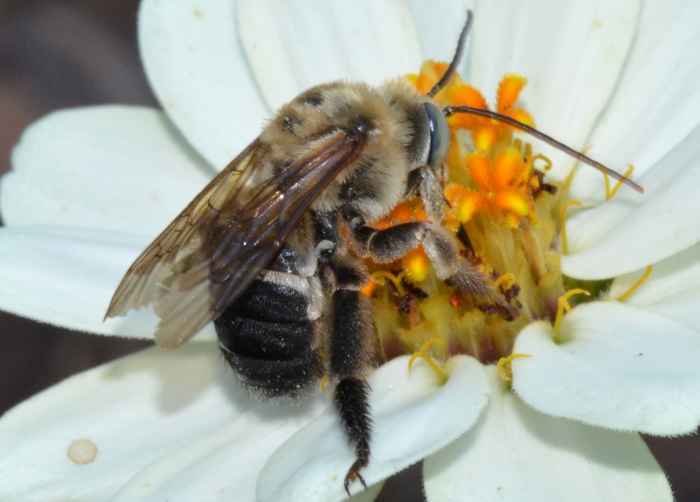 (Long-Horned Bee (nonspec.)). Size: approx. 10-15 mm. Photo: 08/28/11, 7 pm. 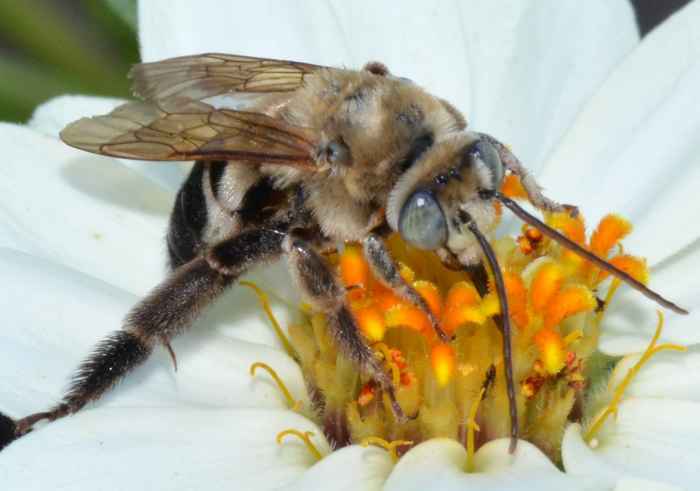 We have many of these Long-Horned Bees (Svastra sp.) flying around our petunias and lantanas. Although they have been there for weeks, it took me a long time to shoot a good photo. They are pretty fast and only stop for seconds while taking nectar. 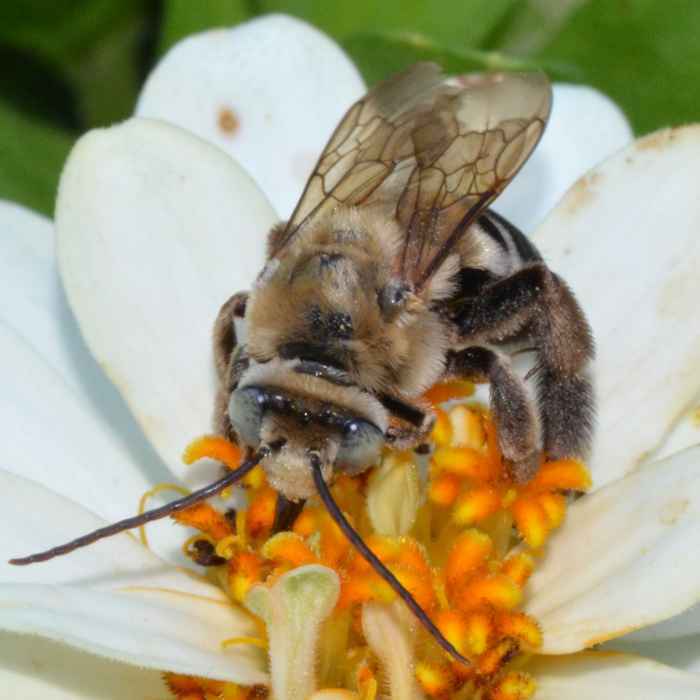 This genus has 14 species in our area, which are all robust and hairy.